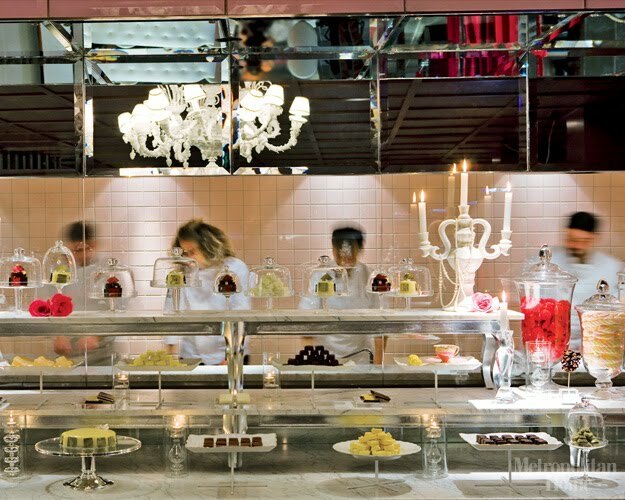 If a little fantasy is what you're looking for, escape the mad rush of Los Angeles and step into a design and dining wonderland (courtesy of Philippe Starck) at the Patisserie in The Bazaar by Jose Andres. Playful with a touch of whimsy, the European-inspired Patisserie is a a fanciful dream of sweet delights, with a pink decor as sugary as the treats it serves. 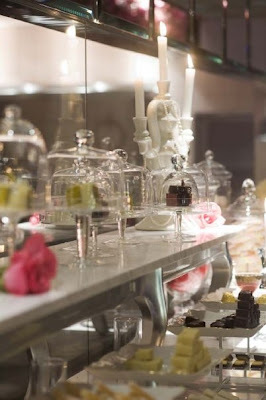 Centered around a glass-enclosed display kitchen, the Patisserie offers an irresistible selection of cakes, bon bons, chocolates and fruit confections. 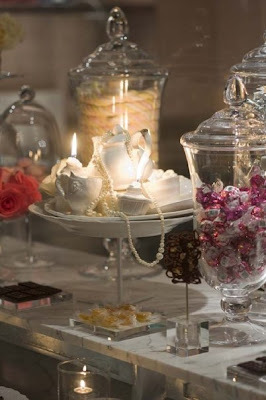 Bite sized pieces of art displayed in glass domes are a treat for the senses, not to mention a great design concept for your reception or bridal shower! Sweet dreams, ladies, sweet dreams.